Lakeker Bright remembers her son, Jamie, who died as a result of gun violence. Did you realize that in the past five years, hundreds of teens and youth have been killed or hurt by gunfire in North Carolina? Here’s what some say you can do about it. In Charlotte, 7-year-old Kevin Calderon Rodas was waiting with other kids for candy to fall from a piñata at his cousin’s birthday party. In Durham, Jaeden Sharpe’s family had stopped at home for the 9-year-old to pick up a Madden NFL video game to bring to his grandmother’s house. In the moments that followed, both became part of a grim statistic: More than 220 children and teenagers in North Carolina have died as a result of gun violence in the past five years, according to a McClatchy analysis of data compiled by nonprofit news organization The Trace. Kids and teens have been killed playing outside on Christmas Day, and at a high school. Others have beenshot sleeping in their beds or waiting for the school bus. Charlotte and Durham had the most deaths, with at least 20 each since 2014. Durham’s figures include two deaths in unincorporated Durham County. Fayetteville, Greensboro and Winston-Salem followed with about 30 total deaths, the analysis found. The fatal shootings involve a variety of situations, including children playing with unsecured guns, family members who set out to kill loved ones and then themselves, and teens settling conflicts with guns. But the killings don’t tell the whole story. In 2016 and 2017, at least another 672 teens and kids in North Carolina visited a hospital for a firearm-related injury and 242 were hospitalized, according to a N.C. Division of Public Health report. Unlike the fatality numbers, the injury numbers include intentional self-harm incidents. In Charlotte, 202 people 18 and under were shot from 2014 to 2018, according to the Charlotte-Mecklenburg Police Department. In Durham, 30 youths were hurt from gunfire in 2018, the only year the police had statistics. After 14 students and three staff were killed in the Feb. 14, 2018, school shooting in Parkland, Fla., thousands of students in Wake, Durham, Mecklenburg and other N.C. counties walked out of school in March to protest gun violence. After the demonstrations died down, the day-to-day work of raising awareness to fight gun violence has continued to be shouldered by law enforcement, community groups and friends and family of victims. Most of the deaths in Durham and Charlotte appear to have a pattern of young teens confronting conflicts with gunshots at parties, in malls and on the streets, according to interviews. Both counties have high rates of violent crime compared to the state average. In 2017, Durham County had a violent crime rate of 767.9 incidents per 100,000 persons and Mecklenburg County’s was 638.6 per 100,000 persons, according to an annual State Bureau of Investigation report. The state average was 383.7. Chuck Manning grew up participating in Durham’s gun violence, but now he works for the city researching ways to curb it. Manning, 40, says he was nearly 12 when he bought his first gun. Chuck Manning, outreach coordinator for the city of Durham's Innovation Team, talks about the first time he bought a gun just before he was turned 12. After Manning’s friend was shot, he turned to a friend in the neighborhood who had purchased guns before. “He gave me a ride to Bahama,” a rural northern Durham County community, Manning said. There, Manning said, he and his friend were met by an older man who took him into a backyard tool shed. He brought out a variety of guns that Manning couldn’t afford until he was offered a small handgun for $35. Manning, in and out of jail and prison since fifth grade, was hired by Bull City United in 2015 to negotiate with shooters to put down their guns. Since November 2016, the Durham County-funded group has tried to negotiate peace in neighborhoods where conflicts have left grieving families and unrest in their wake. In 2017 Manning started doing community outreach for the city of Durham Innovation Team, which is exploring the causes and solutions for a handful of social issues, including gun violence in Durham. Solutions include career opportunities that would allow individuals involved in crime and with convictions to make different choices, and mentors who would help them make that transition, Manning said. Crawford, with Mothers of Murdered Offspring, said multiple factors influence shootings, from violent video games to easy access to guns and lack of conflict resolution skills. The answer to gun violence isn’t simple, Crawford said, but there are simple steps. “We have got to care,” she said. Get involved with schools, sports teams and tutor, she said. Crawford’s seen positive adult interactions change a kid’s outlook and possibly stop the next shooting. Jessica Hulick, volunteer state leader for the North Carolina chapter of Moms Demand Action for Gun Sense in America, said the Sandy Hook Elementary School shooting and others that followed raised awareness about gun violence. The organization lobbies for gun restrictions, such as background checks before a purchase, and plugs volunteers into community organizations working with youths, Hulick said. After the high school shooting in Parkland, the state’s chapters jumped from eight to 22. The program also speaks at events and to individuals to raise awareness about statistics, including the fact that two-thirds of all gun deaths are suicides. The organization suggests best practices, such as asking other parents if they have a gun in the home before allowing your child to visit. Mecklenburg County Sheriff Garry McFadden said the number of shootings and deaths doesn’t surprise him. Charlotte-Mecklenburg Police Capt. 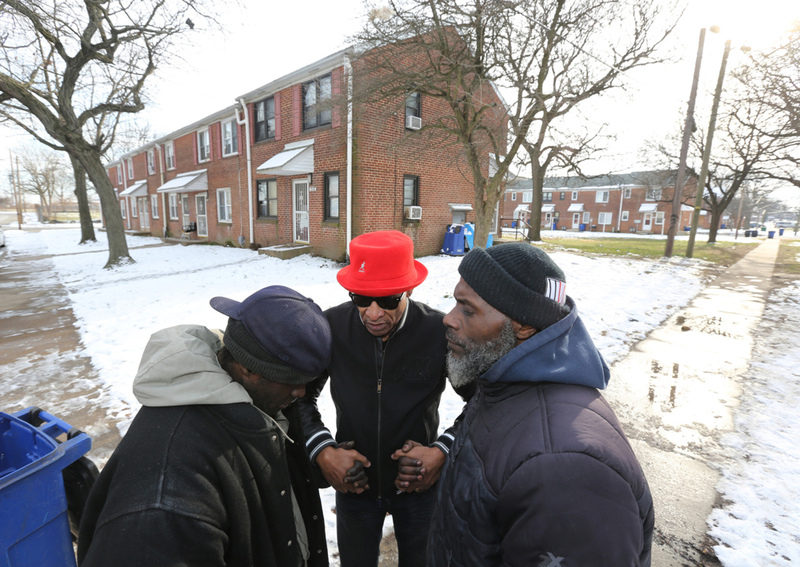 Chris Dozier, who oversees the department’s violent crimes division, said it is hard to answer what is driving the killings and the woundings of local youths. Durham police spokesman Wil Glenn said gang activity is a factor in the majority of the shootings in Durham. Both agencies have task forces or divisions that target violent crimes, and other efforts have included campaigns to raise awareness about people locking their homes and cars and securing their guns. The departments have also turned to initiatives that work to build relationships with youths. Programs and camps keep kids off the street, but also give youths a second chance after being charged with misdemeanors — and in Charlotte’s case, low-level felonies. They also incorporate teaching life skills, such as picking friends, using social media, and conflict resolution. Such programs help find opportunities for parents who call the department asking for help with their kids and open lines of communication between youths and police, said Lt. LeBraun Evans, with CMPD’s community engagement division. “They will call and text all day long,” Evans said, letting officers know about potential fights and other issues. The Durham Police Department has also started a community unit in two high-crime public housing communities in which patrol officers assist community improvement projects, help kids with homework after school and organize and participate in trips to the local pool, the U.S.S. North Carolina and a water park in Greensboro. They have also created a supplemental unit to respond to calls and a program that offers up to $500 for information that leads to a felony arrest on guns used in crimes. CMPD has a program that identifies repeat juvenile offenders and assigns an officer to work with them and their family on a regular basis. About 85 juveniles have been identified, he said. “The goal is to keep it from transforming from property to violent crimes,” Dozier said. Visitation held at Rosadale Funeral Parlor for 7-year-old Kevin Antonio Calderon Rodas, who was shot Labor Day weekend while attending a family member's birthday party. The visitation was open to the public. Maria Rodas Amaya thought it was fireworks when she heard the popping sound at the September 2015 Charlotte birthday party for her son’s 2-year-old cousin. She found her son Kevin, 7, sprawled on the ground, shot. Now, she misses everything about the second-grader who used to surprise adults with his conversation skills. Police linked the shooting to mistaken identity, the Charlotte Observer reported, and no arrest has been made despite the hundreds of hours police said they devoted to the case. Dozier said he thinks it is a situation in which the person or people have information but fear that sharing information with police would identify them. Now, Amaya lives in fear that her other children, a 24-year-old and a 10-month-old, will be killed. She mainly wants people to help police identify Kevin’s killer because she doesn’t want anyone else to go through what she is feeling. “All they need is evidence,” Amaya said. Maria Rodas' 7-year-old son Kevin was shot and killed two years ago at a birthday party. The case is still unsolved. More than a year earlier in Durham, the temperatures hovered just above freezing at 6 p.m. on the first Saturday in January 2014. Jaeden Sharpe’s mother had stopped by their home to pick up a video game. When they returned to their SUV, Jaeden, 9, sat in the back with his cousin, 10. His mom, Lakeisha Holloway, sat in the driver’s seat and his brother, 10, sat in the front. Suddenly a man walked up to the car and started shooting. Holloway blacked out when a bullet flew through her nose and lodged in her jaw. She quickly regained consciousness and told her oldest son to call the police. As she put the car in reverse, the windows shattered and sent glass into her nephew’s eyes. That’s when he started yelling for Jaeden, who had been shot in the head. Jaeden, the president of his third-grade class, loved to dance and play football, and he was the peacemaker with Holloway’s older kids. “He loved his mama so much,” Holloway said. 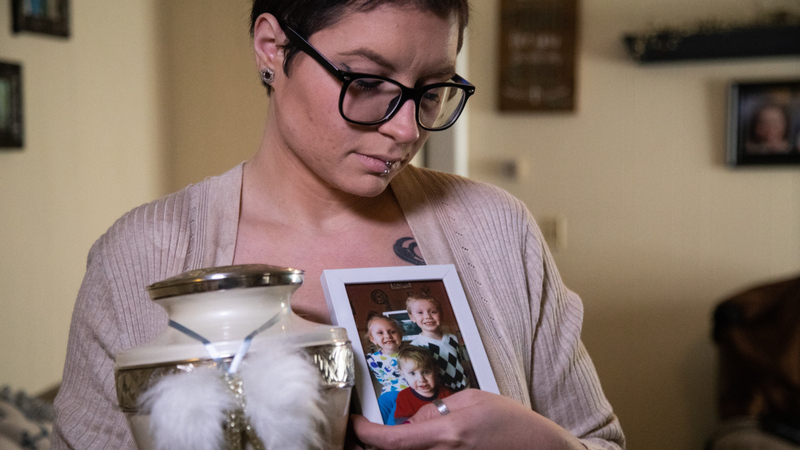 Three years after the killing, Everett Graves, now 28, was convicted of Jaeden’s murder in a hearing that left Holloway feeling frustrated and forgotten, she said. Graves took an Alford plea, meaning he didn’t admit guilt, and was sentenced to 16 to 20 years for two counts of second-degree murder that included Jaeden and another man, the Herald-Sun reported. The deal followed inconsistent testimony given by Holloway and no other evidence to bolster the case in which Jaeden was possibly caught in the crossfire of a dispute between Graves and Jaeden’s father, prosecutors said. In Charlotte, Jamie Bright, 18, was a linebacker, no. 57, on Harding High’s championship 2017 football team. He liked to work on cars with his grandfather, and told his mom he wanted to be a veterinarian. Those options closed for Jamie when he was shot in his home in July 2018. A 17-year-old friend of Jamie’s now faces a second-degree murder charge. The accused shooter’s intention may have not been to shoot Jamie, Dozier said, but “his actions were just so reckless” he should have known he had the potential to kill someone. Jamie’s mother, Lakeker Bright, 39, said the solution to gun violence starts at home. Parents have to talk to their children about guns and conflicts and should be checking their rooms, pockets and bookbags, she said. Vanessa Graves-Cousin talks about her 16-year-old grandson Torry Trueluck's love of basketball. Torry died after being shot in Durham on Wednesday, Nov. 15, 2017. On the the 15th of every month, Arvestella Trueluck struggles in her search for answers. That’s the day her son Torry, 16, was shot in November 2017 in Durham. No one has been charged, but she’s heard varying street accounts in which he was in a fistfight when someone pulled out a gun and shot him. “Why couldn’t they just fight with their fists?” she said. Trueluck recently learned her cousin and her 10-month-old baby had been shot and killed after the baby’s father attempted a murder-suicide in Durham on Jan. 11. “I flashed back,” Trueluck said. She couldn’t stop crying. She didn’t sleep for days.